Students and from the Barboza Space Center will support other teams that want to try for this new international competition. Write your letter for possible collaboration and send it to Barboza Space Center (Suprschool@aol.com. Attention Bob Barboza. The Mars Society recently announced plans for an international student engineering contest to design a lander capable of delivering a ten metric ton payload safely to the surface of Mars. The competition is open to student teams from around the world. Participants are free to choose any technology to accomplish the proposed mission and need to submit design reports of no more than 50 pages by March 31, 2018. The key missing capability required to send human expeditions to Mars is the ability to land large payloads on the Red Planet. 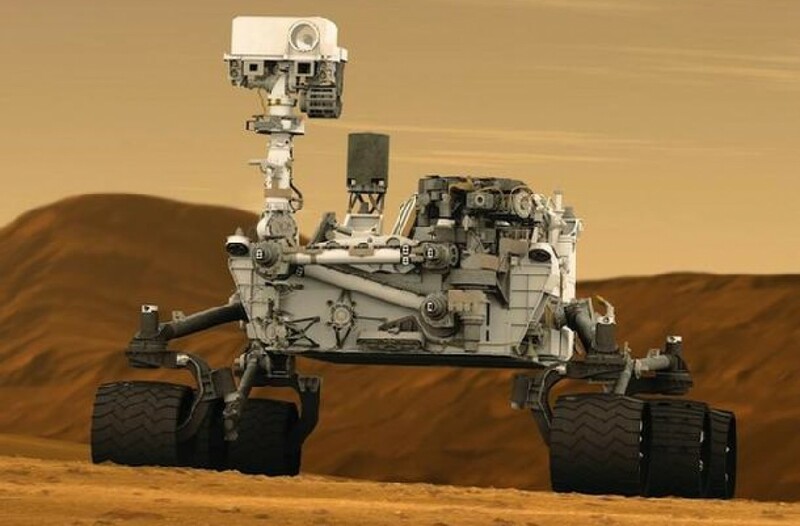 The largest capacity demonstrated landing system is that used by Curiosity, which delivered 1 ton. That is not enough to support human expeditions, whose minimal requirement is a ten ton landing capacity. NASA has identified this as a key obstacle to human missions to Mars, but has no program to develop any such lander. SpaceX had a program, called Red Dragon, which might have created a comparable capability, but it was cancelled when NASA showed no interest in using such a system to soft land crews returning to Earth from the ISS or other near-term missions. In the absence of such a capability, NASA has been reduced to proposing irrelevant projects, such as building a space station in lunar orbit (not needed for either lunar or Mars expeditions), or claim that it is working on the technology for large visionary interplanetary spaceships which will someday sail from lunar orbit to Mars orbit and back, accomplishing nothing. For full details about the Red Eagle student engineering contest, including team rules, guidelines and requirements, please click here.